Explaining Chroma Squad is difficult. It’s a TV studio management sim, except when it’s a turn-based strategy RPG. It’s a drama about being an independent creator, except for when it’s a fourth-wall-breaking romp with jokes that have a so-so track record of hits and misses. It’s a clever idea, with solid ideas that weren’t as well-realized as they might have been. When five actors find they have artistic disagreements with their previous show’s director, they leave, starting their own action television program filmed in a warehouse. With used colorful suits, they make up the Chroma Squad, a group of martial arts action heroes. 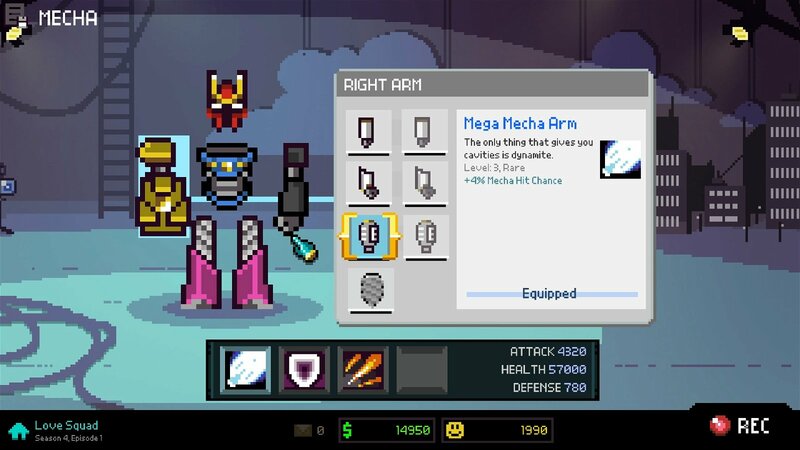 Chroma Squad’s mechanics are multi-tiered. First, it’s a management sim for a television show, meaning you’ll consider factors like budget, marketing, ratings, social media, emails, and a fan base. Each element is essential and eventually builds into the game’s second gameplay tier of turn-based combat. Upgrades are purchased using the money earned from successful production, fan power can often help heroes bolster themselves against great odds, and random people will approach the studio with new ideas and offers. 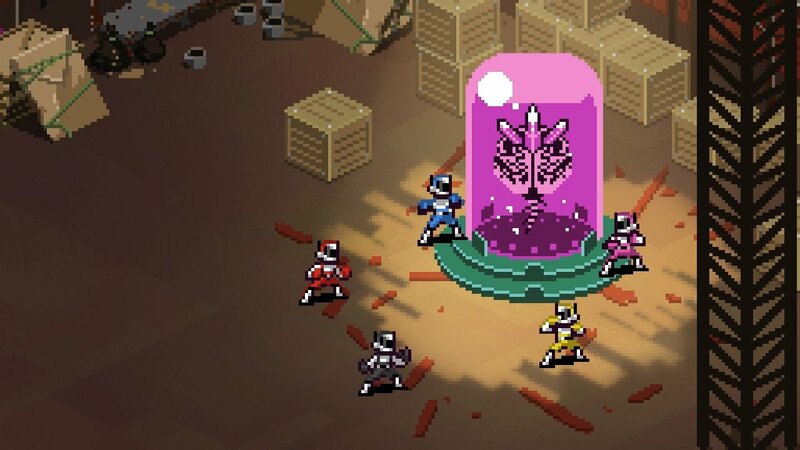 Once filming begins, Chroma Squad morphs into a turn-based strategy RPG, aping many of the core features of Power Rangers in its design. 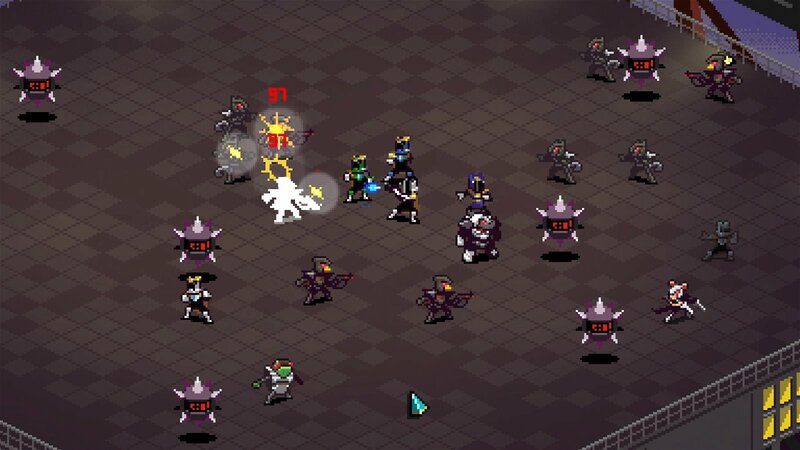 Episodes begin with each character wearing their normal street clothes, a diabolical villain attempts to thwart them, and the Chroma Squad must don their power suits and become fighters. There’s enough tongue-in-cheek dialogue to remind you of how campy and fun the Power Rangers are, but it’s often undercut by the game’s insistence on being silly. Strange meme humor makes an occasional appearance, and the actors so frequently break the fourth wall and have out-of-character conversations during episodes that it robs the story of actually having a cohesive through line. Mechanics are a core focus here, making story feel like an afterthought. Were it to do a better job of telling an engaging meta story, combat could have had more weight and the characters would likely feel more endearing. The way it’s currently presented, the only consequence of failure is losing viewers and not performing well at the end of the season. Combat is fun and somewhat challenging, if not a little on the shallow side. 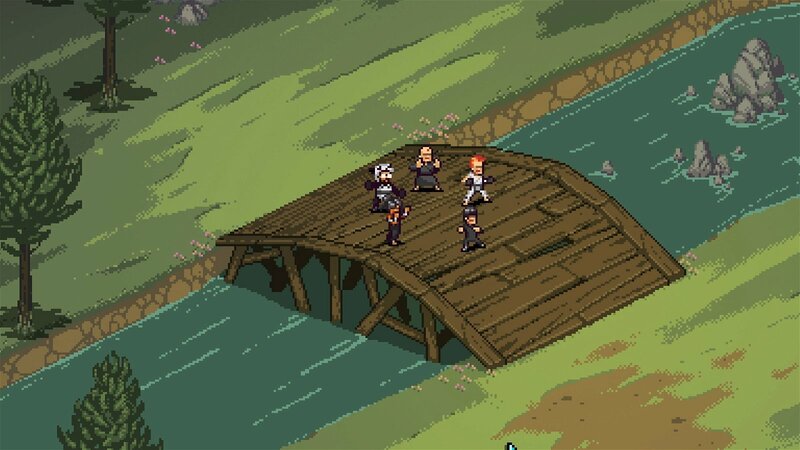 Squad members can work together to perform power attacks or move at greater distances, and each person has their own special abilities that can heal, harm multiple enemies, or freeze monsters in place. Each episode has a set number of goals that must be met to obtain the highest possible rating for that episode, and there’s an occasional factor outside of the show that will mix up the formula and force the Chroma Squad to adapt, be it otherworldly portals or cast members with dentist appointments. But it only takes a season in before you get the feeling you’ve seen all of this before; the episode objectives only slightly vary, enemy attacks are largely predictable and don’t change often enough to force you to adapt on the fly, and bosses feel like enemies with a bit more health. It’s skin-deep, and feels like some of the ideas could have benefitted from a bit more time in development. 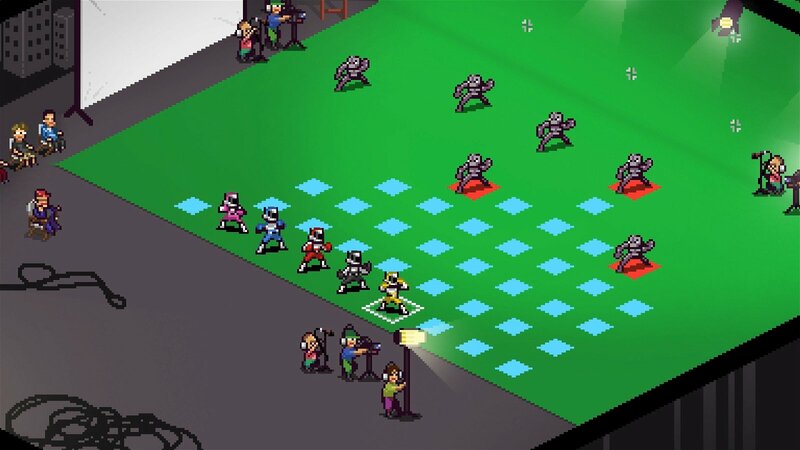 Chroma Squad does something unique, though; it dares to take the turn-based RPG genre in a direction away from the usual cyberpunk or fantasy setting and feeds off of the goofy nostalgia of 90s action shows. It also successfully combines two entirely different games in one cohesive product that, while flawed, is still interesting and entertaining. It apes Power Rangers to such a degree that it adopts that same shallow feel of giddy fun without ever coming off as particularly engaging and being capable of so much more. Chroma Squad’s mechanics are multi-tiered. First, it’s a management sim for a television show, meaning you’ll consider factors like budget, marketing, ratings, social media, emails, and a fan base.